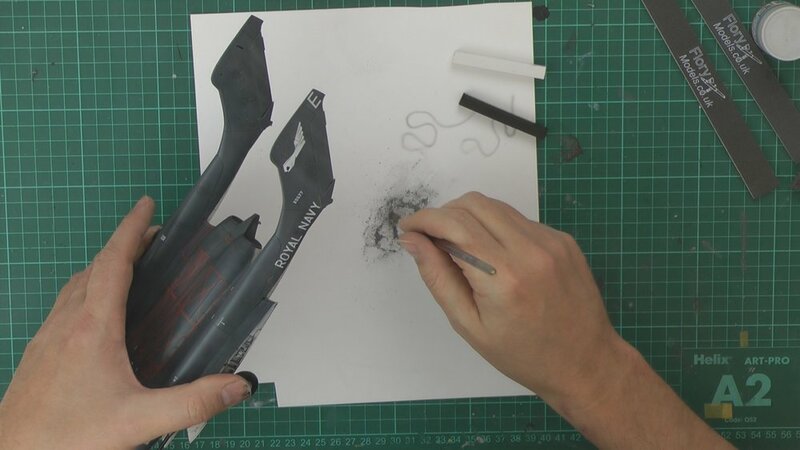 In part one we work on the cockpit using Eduards colour PE cockpit set and quickly work through the build. 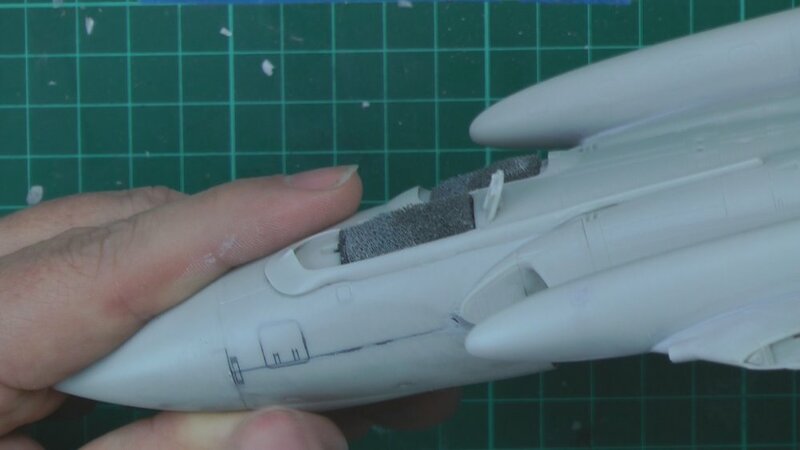 In part two we quickly work through the build and make a few tweaks to the intakes before sealing up the fuselage. 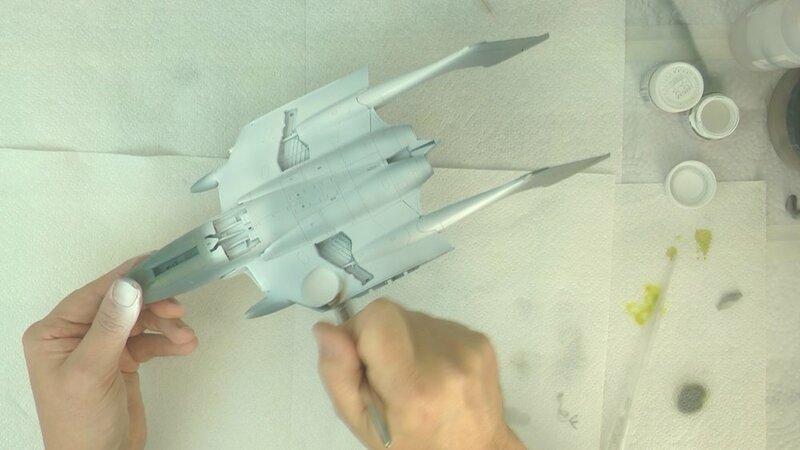 In part three we finish of the build part and move into the spray bay for primer work and checking the finish. 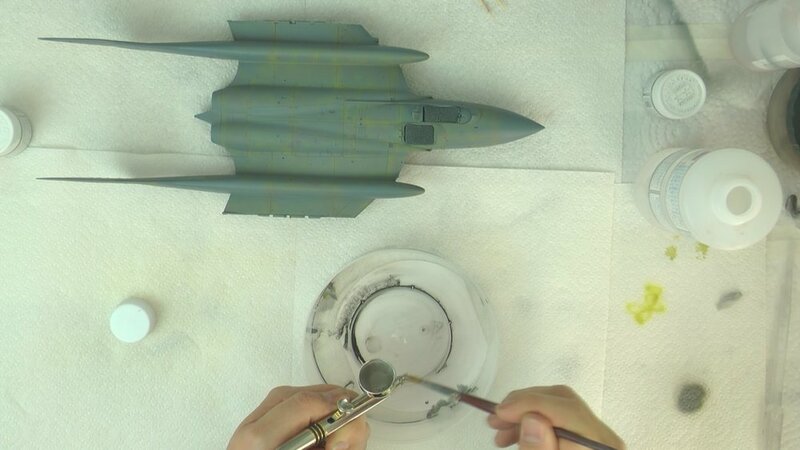 In part Four we work our way the paint stage with pre-shading with yellow and grey for primer and chipping effects and the use of mask oil for our chipping before putting down the white and dark sea grey. 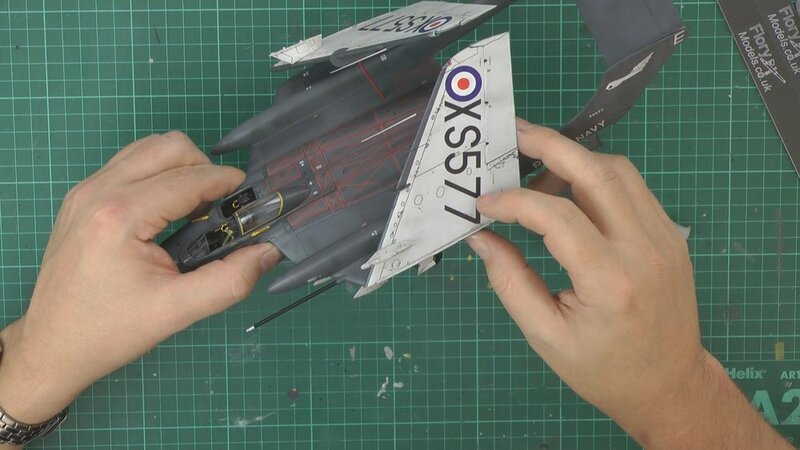 In part five we finish of the white belly and move through the Dark sea grey top and bleaching and weathering the paints to give a better scale effect. 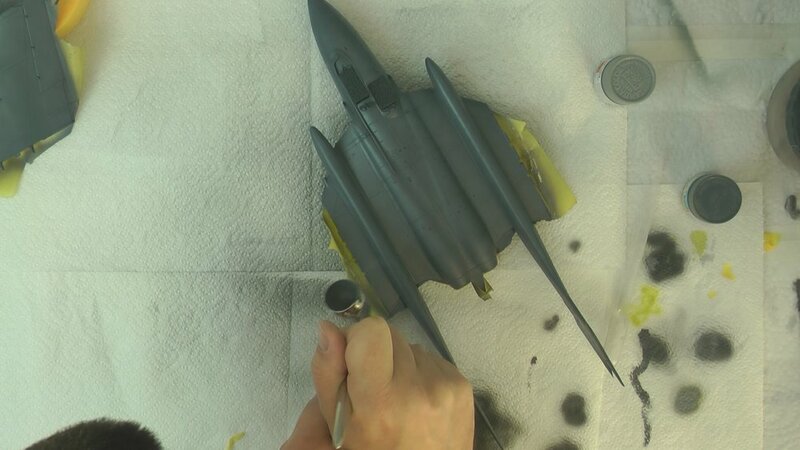 In part Six we work through the decaling and then pop a satin coat on for the wash and weathering. 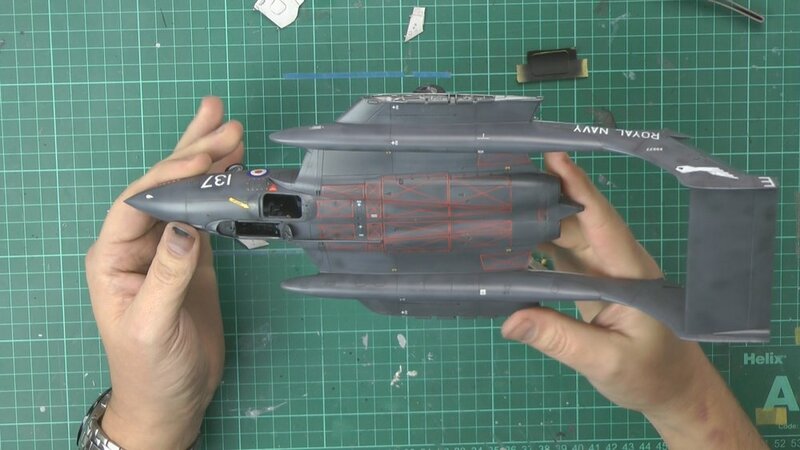 In part Seven we weather the vixen with pastels to give a more faded grimy look to the model. 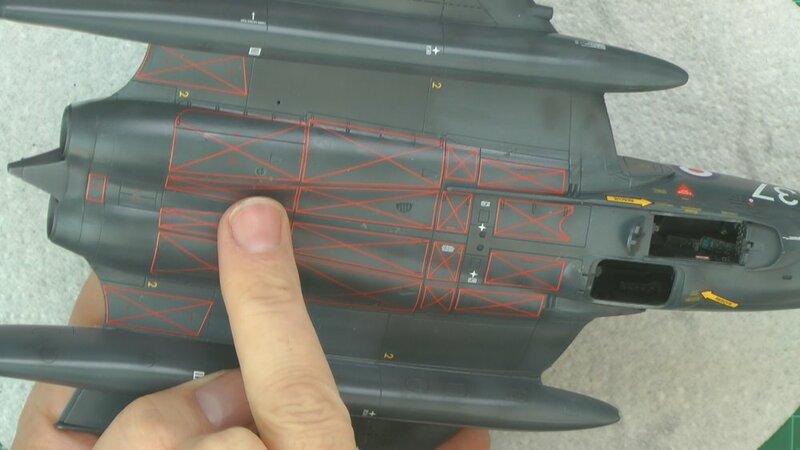 In the final part of the build, we bring it all together by adding all the small parts and the give the whole model a pastel scrub to fade it down and add grime to the look before the reveal photos.